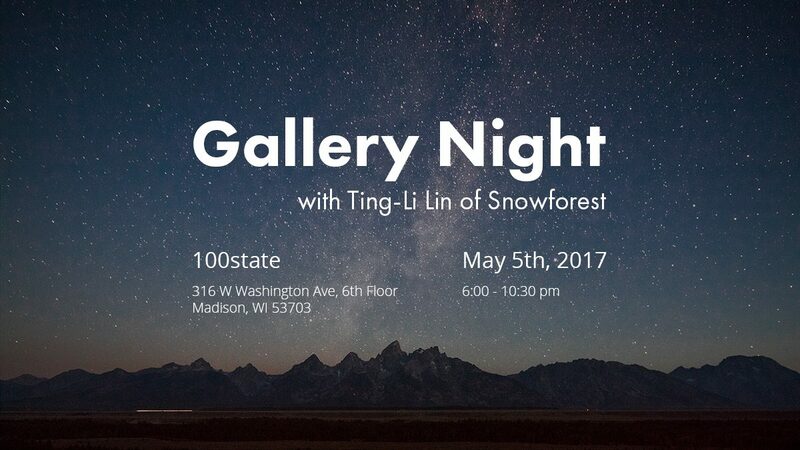 I’m very happy to be part of the Gallery Night Spring 2017 coming up this Friday. Last time I took part of it was three years ago at the Gallery 800 UBD. This year I will be joining three other exhibitions at 100state. The admission is free. There will be free food, free drink, music, performance, and surely a lot of fun! My exhibition has already been on view since January. The original plan was to take it down at the end of April. Now the director of 100arts decided to extend my exhibition until the end of August, which is why I have this opportunity to participate in the Gallery Night. 100state is located at the 6th floor of the AT&T Building in downtown Madison. The owner of the building recently did a lot of renovation to it, including a 150-feet high mural on the front face of the building.